What do others say about The Esquires? "Nobody fans the fires of tradition like the venerable Esquires. Charleston's premiere oldies dance band keeps the faith for a generation reared on the roots of rock 'n roll, soul and rhythm and blues. They play and sing with contagious joy. Long live the Esquires!" "As one of the members of the SAHS Class of 1961, we were so happy to be able to book The Esquires as our entertainment for our 50 year reunion at Berry Hills. It was a classy fabulous evening and everyone enjoyed having The Esquires. They made our evening. Book them for lots of fun!!!!" "The Esquires has provided Riverfest with years of wonderful entertainment. We have had awesome results using them for years. A crowd pleaser every time. You cant go wrong with them for your festival, party or event." "The Esquire's is a top of the line, high energy group that our Festival, City and surrounding communities have had the pleasure of their expertise and professionalism for 3 straight years during our Labor Day Weekend Festival. Their performance on stage and their interaction with the crowd was awesome and the level of enjoyment was amazing." Oak Leaf Festival, Oak Hill, W.V. 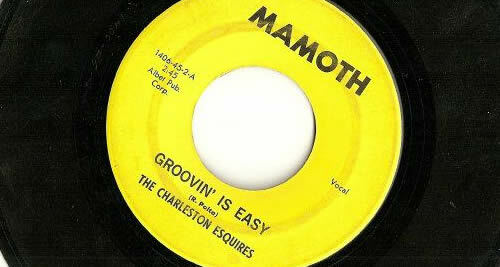 "The Esquires can electrify an evening with the greatest songs from the sixties and up. With great vocals and a complement of horns, drums and guitars they will bring you to your feet and keep you dancing for an entire show." "It was the first time that I know of that we paid a band to play an extra hour. Our attendees could not get enough of this high spirited group of entertainers.